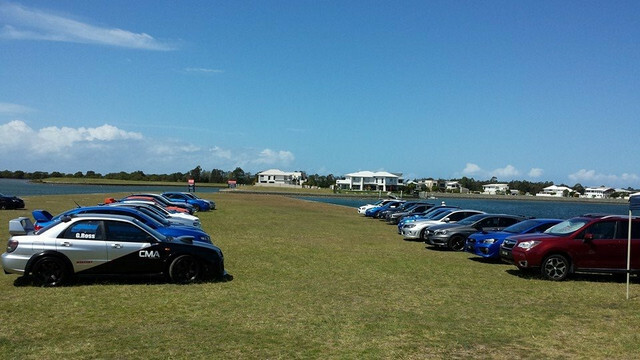 What does the Impreza WRX Club of QLD mean to you? - In the beginning it was something to do with my dad and a few close friends, but over time i have gained lots of friends. Being a part of the WRX club is a place where learning and teaching is very rewarding. - My dad introduced me to the club about ten years ago. What made you join the committee? - As I was going to most event and meetings, I started helping out there and decided I could help out more by joining the commiittee. My partner and I ran the Merchandise as our first role on the committee, then I moved onto Vice President and Now President. What is your favourite memory about the club? - I have two very good memories of the club. The first memory was a number of years ago the club did a cruise down to the Bathurst 12 hour and we got to drive the circuit, it was sensational. The second was about 4 years ago our club christmas party was help at the Harrigans Drift Inn with all the cars parked on the Water having a few drinks with family and friends.